We have contracted with McKesson for our billing services. McKesson is the largest payment provider for clinical laboratories. Please use the link below to make an online payment. MicroGenDX is a laboratory service that provides physicians a diagnostic tool to identify bacteria and fungal microbes, which can be causing an infection. Before making a treatment decision or prescribing an antibiotic your physician needs to know the type of microorganism at the site of infection. MicroGenDX is a molecular laboratory that uses the latest technology to identify the microbes by their DNA. Just as you have your own unique DNA, every species of bacteria or fungus has its own unique DNA. We now have a database with the DNA of over 25,000 species of microbes! By knowing the DNA of thousands of species of bacteria and fungus, we can extract the DNA from your sample and match it to this database! Scientists have used DNA to identify microbes for many years and believe the technology is the Gold Standard for identifying microbes. In the past the technology was too expensive and took too long to use in human medicine, until now. MicroGenDX is the world leader in using Next Generation Sequencing to detect and identify microorganisms. Your doctor could have used another diagnostic tool for identifying bacteria or fungus and that tool is likely a traditional culture. Your insurance carrier may have covered the cost of a traditional culture but you should understand the differences between a culture and DNA sampling. Culture means to grow. The traditional culture has been the primary diagnostic tool for detecting microbes since its discovery in 1870. Less than 1% of microbes will grow in culture! Your samples also needs to be at the culture lab in 2 hours and kept at room temperature. (If not, it will not grow) When you see the lab boxes sitting outside of your physician office, that is where your sample will often sit for hours before being picked up! (DNA samples are not as sensitive to time and temperature). This means that DNA technology used by MicroGenDX is more accurate than culture in detecting the bacteria and fungus causing your symptoms. Now your doctor has better information to prescribe the right treatment. It could mean the difference in you feeling better faster. It will also be lower cost to you from not having to pay for repeat office visits and repeated courses of antibiotics can be the result of a culture being wrong. It’s our priority to make use of our test as easy as possible for your office staff and will show them what the patient needs to sign and why. (If Patients have Aetna or one of the BC plans and/or have no insurance coverage) We are focused on our testing service being covered by more of these BC plans and will continue to update you as we add more states. If the patient who has Aetna or one of the BC plans does not agree to sign the patient letter please do not send that patients sample to MicroGenDX. Our policy with all other private plans has not changed with the exception that if the patients plan does not cover the cost of our test. They will receive an EOB (Explanation of Benefits) from their insurance provider and they will receive one invoice from MicroGenDX Laboratories. Your Doctor has requested testing by MicroGenDX Laboratory out of medical necessity. MicroGenDX a national laboratory that provides Molecular Diagnostic Testing. The DNA technology that MicroGenDX provides is the “gold standard” of microbial diagnostics. 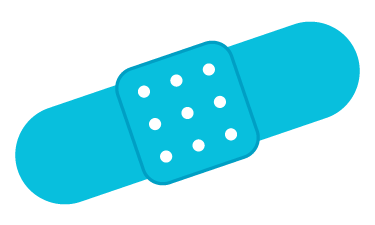 After providing test results to your physician, MicroGenDX will bill most insurance companies for the testing. The insurance company will review the claim and determine your responsibility for deductible amounts and uncovered portions of the bill for each sample sent to the laboratory. 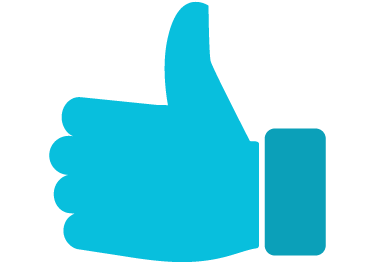 Upon Receiving the patient sample MicroGenDX (a Division of Southwest Regional Laboratories) verifies insurance information, completes testing and bills patient insurance plan. Insurance Providers will mail patients an Explanation of Benefits. 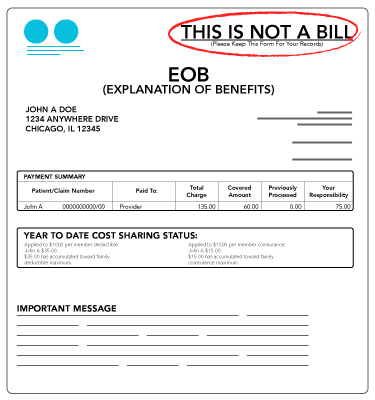 Please Note an EOB (Explanation of Benefits) is NOT a bill from MicroGenDX. Please call the phone number on the back of your insurance card for information on coverage of this test. MicroGenDX offers a Patient Assistance Program which allows patients to pay in monthly installments until their balance is paid in full. Contact Customer Service at 1-855-208-0019 option #1 with additional questions or to begin a payment plan. 1Why have I received an invoice from MicroGenDX? 2I don’t understand some aspects of my invoice. Who can help me to understand it? 3Why does an invoice for my testing sometimes get mailed to my home addressed to my spouse? 4I received an invoice requesting additional information. What should I do? Please send the requested information to the address or fax number listed on your invoice. You can also call the Customer Service phone number listed on your invoice, or contact our online Custoner Care. If the message on your invoice indicates that your insurance carrier needs more information from you in order to process your claim, please contact your insurance carrier directly. 5Where does MicroGenDX obtain the diagnosis information related to my claim? MicroGenDX obtains diagnosis information from the ordering physicians office. If your insurance carrier denied your claim due to the diagnosis code, please contact your physicians office. 1Can I pay my invoice online? You can pay your invoice directly from this website by clicking here. This will take you to our online payment center. 2Is my payment information secure? If you’re using Internet Explorer 7.0 or later, the padlock is located at the top of your browser window, immediately to the right of the address bar. If you’re using Internet Explorer 6.0 or earlier, the padlock is located at the bottom right of your browser window, immediately to the left of the word "Internet". If you’re using Firefox 4.0 or later, you will not see padlock at all. Instead, the Site Identification Button is displayed on the left end of the address bar. If you’re using Firefox 3.0 or earlier, the padlock is located at the bottom right of your browser window. If you’re using Safari, the padlock is located at the top right of your browser window. 3How do I pay my invoice by mail? To pay your invoice by mail, send your payment to the "Send Payments To" address listed on your invoice. Please send the Payment Coupon(s), attached to your invoice, along with your payment and write your invoice number(s) on your check or money order to ensure proper credit is applied. 4Why do I have a different invoice number each time I have services performed? How does this affect making payments online? 5Am I required to pay for past due balances to get future services? A payment may be required at the time of service for all past due balances. MicroGenDX reserves the right to refuse laboratory services for failure to pay for past services. 1How can I find out if MicroGenDX is a participating provider with my insurance? It is the patients responsibility to verify benefits before services are performed. Any questions regarding coverage should be directed to your insurance carrier. 2How do I submit secondary insurance information? In select geographic areas, MicroGenDX will file eligible claims to a secondary insurance carrier as a one-time courtesy. To check availability of this courtesy service and to submit your secondary insurance information, please call the Customer Service phone number listed on your invoice or click here for our Customer Service phone numbers by area. You can also contact our online Customer Service. 3Why have I received an invoice when I have insurance that covers my laboratory testing? Please refer to the message on your MicroGenDX invoice or the Explanation of Benefits (EOB) from your insurance carrier for more specific information about why you received an invoice. If you have additional questions or concerns, please contact your insurance carrier directly. If your insurance carrier was not billed or was billed with incorrect information, you can submit your correct insurance information here and we will resubmit a claim to your insurance carrier. It is helpful to have your insurance card in front of you when providing this information. 4My insurance information has changed. How do I correct it? You can provide your insurance information directly to MicroGenDX by clicking here to contact Customer Service or here to manage your account. Please be sure that the information provided is accurate and complete. Inaccurate or incomplete information may result in a delay or denial of payment by your insurance carrier. You can also mail or fax a copy of the front and back of your insurance card to the correspondence address or fax number listed on your invoice. 5Why was my invoice billed with incorrect insurance information? Your insurance carrier is billed based on the information provided to us on the original test order from your physician, also called a requisition. Sometimes the information provided on the requisition is incorrect. To ensure your insurance is billed properly, please present your insurance card at each physicians office or Patient Service Center (PSC) visit. Please also make sure your physicians office or the PSC, has your most current insurance and billing information, including your current address, contact information, and correct date of birth. Some physicians offices have a separate laboratory test ordering system, MicroGenDX Customer Care, so you can also check with your physicians office or the PSC to verify that your insurance information is correct in this system as well. 6Why do I have to give my insurance information each time I visit my physician or Patient Service Center? 7I received information from my insurance carrier about my benefits and I do not understand all of the information. Can you help me? 8The "Explanation of Benefits" I received from my insurance carrier is different from the information on my MicroGenDX invoice. What should I do? If you received an Explanation of Benefits (EOB) from your insurance carrier that differs from what is indicated on your MicroGenDX invoice, please write your invoice number on the EOB and mail a copy or fax it to MicroGenDX. Please refer to your invoice for the correspondence mailing address and fax number. MicroGenDX will contact your insurance carrier to research and resolve the discrepancy. 9How long will it take to receive a response from my insurance carrier? 1Is MicroGenDX able to tell me if I am covered for testing? No, MicroGenDX does not know each individual patients insurance coverage. It is the patients responsibility to verify benefits before services are performed. Any questions regarding coverage should be directed to your insurance carrier. 2Does Medicare cover this testing? 3Does Blue Cross cover this testing? Yes, in some states and levels. It is your responsibility to contact your provider to find out if they cover this test. 1Can MicroGenDX tell me how much I can expect to pay for my tests? Your healthcare providers agreement with MicroGenDX. 1How can I have Medicare send my invoice to my secondary insurance carrier? 1Can I receive a copy of my test results? Ask your doctor’s office for a copy of your results. 1Does MicroGenDX have a program for patients experiencing financial hardship and/or patients who do not have insurance? MicroGenDX offers payment plans which allows patients to pay in monthly installments until their balance is paid in full. We also offer Financial Assistance, which provides free or reduced-fee laboratory services, to those who qualify based on U.S. Department of Health and Human Service poverty guidelines.